Few things unite Americans like rage against price-gouging pharmaceutical companies. But that growing sentiment had little effect on the drug industry’s comfortable pockets during this week’s election. One measure in California that would have capped drug prices failed miserably, and big pharma shares are reportedly soaring following Trump’s win. Several of the people who were in the presidential running this year voiced support for tackling drug prices and continue to do so. In California, just days before the election, U.S. Senator Bernie Sanders rallied people to support Prop. 61, an initiative developed by the AIDS Healthcare Foundation. The proposition would have set the prices of all drugs purchased through California’s state health programs to the lowest price paid by the U.S. Department of Veterans Affairs. Despite Sanders’ persistent efforts, Californians defeated the measure 54-46 percent. “This was a tremendous uphill battle from the very start,” a strategist told the Sacramento Bee. The pharmaceutical industry raised over $100 million to defeat the measure and ran an aggressive advertising campaign against it. 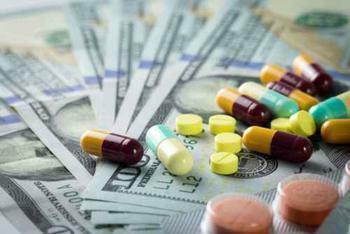 Republicans to tackle rising drug costs? President-elect Donald Trump has also previously talked about lowering drug prices, though not as much as Hillary Clinton did. Back in January, Trump told supporters that he wanted to allow Medicare to negotiate drug prices with pharmaceutical companies, a policy that would likely keep drug prices lower and cut into big pharma’s profits. “We don’t do it. Why? Because of the drug companies,” he reportedly said in some not-very-Republican sounding remarks. Trump has also said on the campaign trail that he would allow cheaper drugs to be imported to the United States. As people like Sanders and patients' rights groups will tell you, the United States pays some of the highest prices in the world for prescription drugs. "Congress will need the courage to step away from the special interests and do what is right for America...Allowing consumers access to imported, safe, and dependable drugs from overseas will bring more options to consumers," his health plan said. But the pharmaceutical industry apparently isn’t convinced that Trump will be a champion of the sick or do what he said he would do. On Wednesday, shares in pharma and biotech companies soared. Hillary Clinton "not being in the White House removes the notion of some sort of price controls off the table," Tony Butler, an analyst at Guggenheim Securities, told Reuters. "From the perspective of pharmaceutical, biotechnology, generic (drug) stocks, (the election) went about as well as could be expected." Shares of Pfizer rose 8.5 percent, Mallinckrodt rose 10 percent, and Celgene rose 10.4 percent. What's behind surging prescription drug prices?